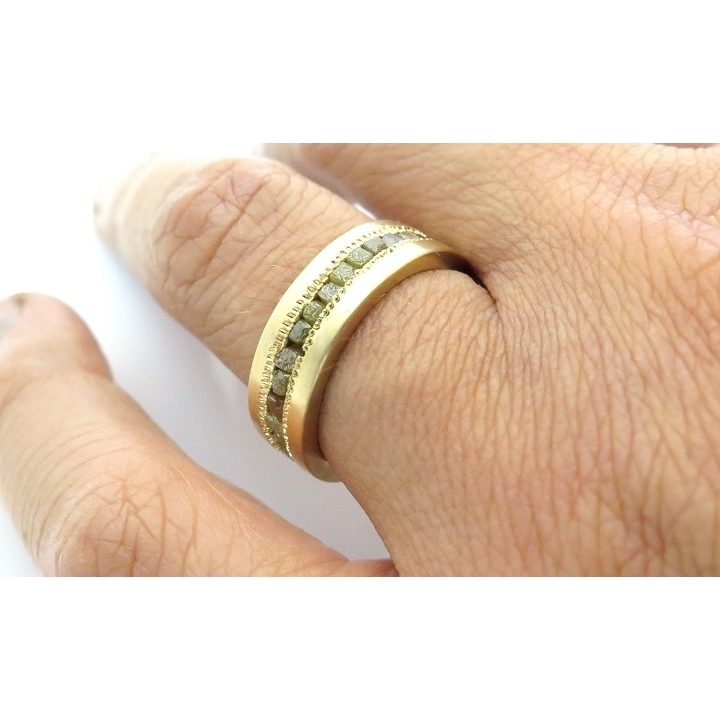 Men's rough diamond wedding band. 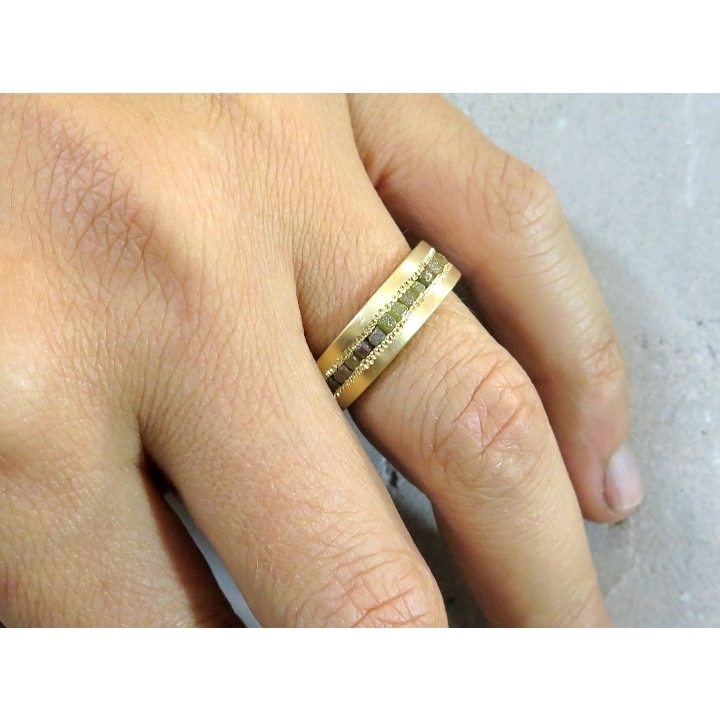 Made with 18k gold and set with amazing rough cube diamond. 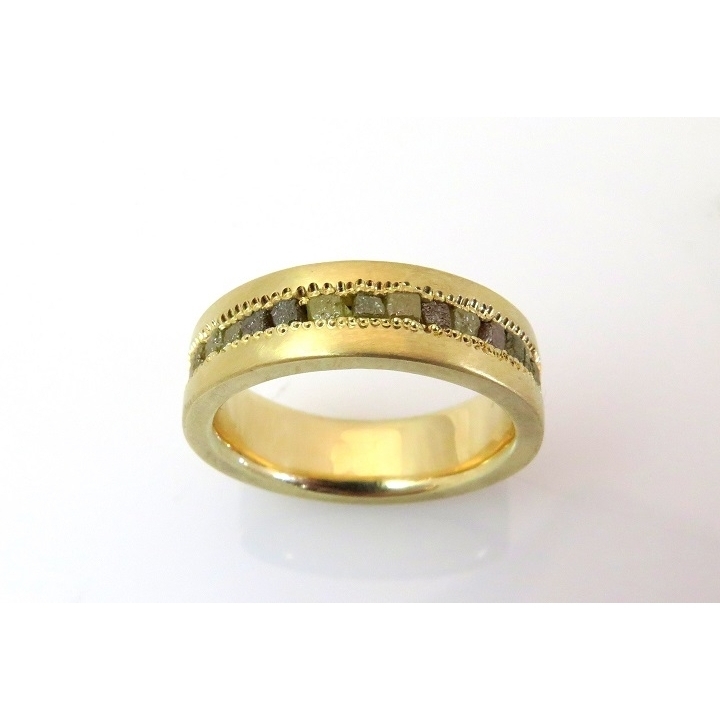 An incredible wedding band or engagement ring for men. 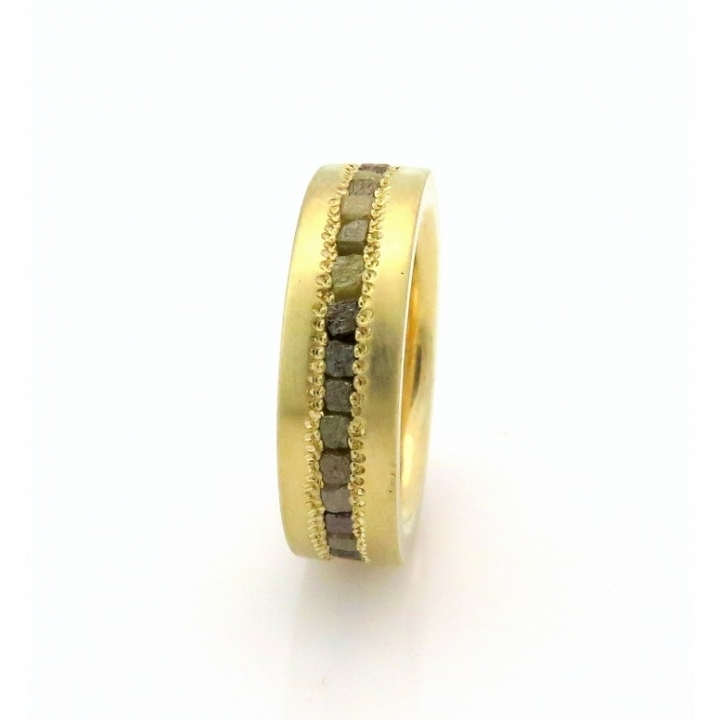 The contrast of the intense 18k gold and the saltine texture of the rough diamond give to this ring a perfect look. Why men's shouldn't wear diamonds?! 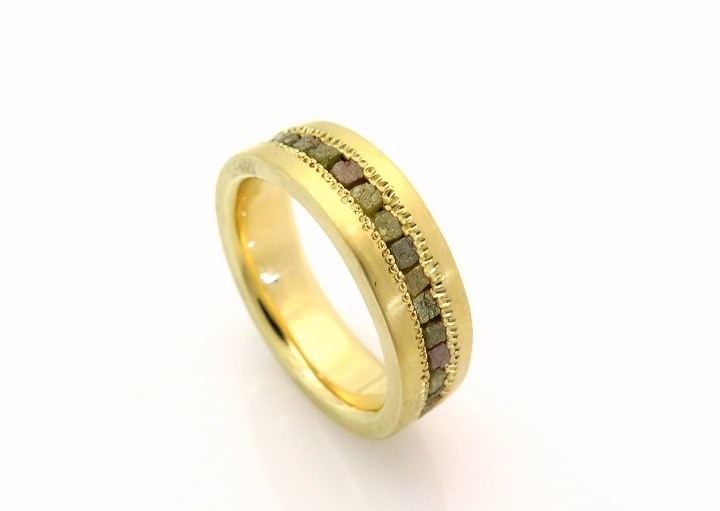 This diamond ring is the perfect one! !